College Football '97 USA SNES Super Nintendo Game Cartridge Cleaned Tested and Guaranteed to Work! 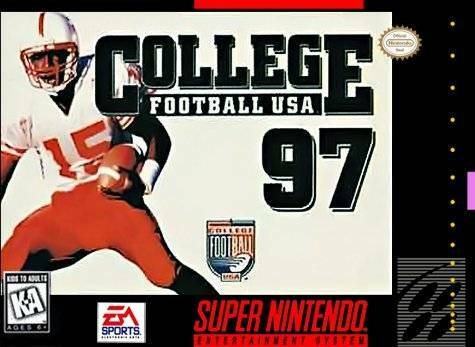 EA SPORTS kicks off an all new season of college football, featuring the brand new Create Player, custom schedules, all 111 Division 1-A teams and the Nokia Sugar Bowl, site of the 1997 National Bowl Alliance Championship Game. Does your team have what it takes to go the distance? Controls are a little awkward and gameplay is incredibly slow. At times feels as if the players are running in place. 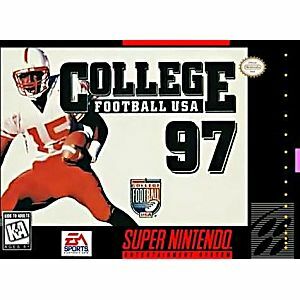 Has a pretty good selection of teams to choose from and was the last college football game for both the NES and Genesis. Condition of game was great. This is a good college football game.